Once considered the Paris of Latin America due to its rich architectural history, Buenos Aires is now recognized for a dramatic surge of unregulated and unplanned suburban settlements. 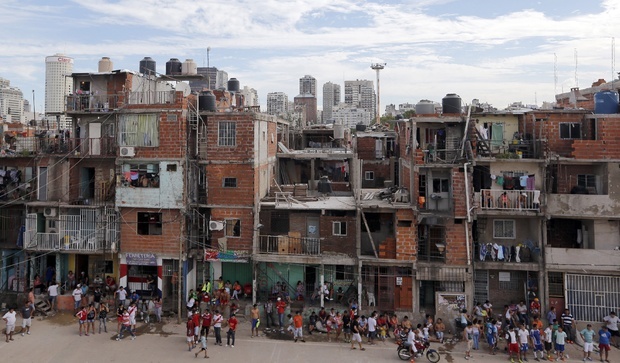 It is estimated that half a million families live in 864 slums in the metropolitan area. With an increasing population of economically disenfranchised citizens finding refuge in unregulated housing, Buenos Aires now faces the challenge of incorporating the illegal settlements into the city’s infrastructure to ensure their safety and livability. The Argentinian Weatherization Learning Cluster is inspired by three questions: first, what factors have contributed to making homes become unaffordable for most people in the world? Second, how can the Learning Cluster group diagnose the energy efficiency of unregulated homes and implement changes to improve their safety and economic viability? Third, how can sustainable practices explored in this Learning Cluster impact future generation? The Argentinian Weatherization Learning Cluster will visit different neighborhoods in Buenos Aires to investigate the decisive historical, socioeconomic, and environmental factors that have shaped the urban identity of the city. The Learning Cluster will compare traditionally wealthy neighborhoods like Barrio Norte, working class neighborhoods like La Boca, and transitioning neighborhoods like Palermo Soho and Puerto Madero, as well as the controversial Villa 31 slum. Students will also revisit the two dwellings built by previous Learning Clusters and meet with plastic artist Pablo Salvadó to participate in an intensive adobe construction workshop and discussion. 3) Field mentoring in Campana. The first component of training will occur in Buenos Aires and consist of three days of weatherization instruction, encompassing topics such as Energy Auditing and Retrofitting of dwellings. WWB will provide intensive classroom, hands-on field mentoring and online training to students, including Retrofit Installer Technician, HVAC Fundamentals and Energy Auditor. The second component of training will entail three days of classroom and field training with weatherization equipment and WWB mentors. The third component of training will apply weatherization knowledge to the geographic location of Campana. Students will gather information about health, safety issues within a home, quality of life, energy, and environmental impacts. Over the course of the Learning Cluster, students will create a fifteen to twenty minute documentary film to be presented at the Learning Cluster Fair. The short documentary will educate SUA students about the practical, structural, and societal effects of sustainable living, as well as demonstrating the positive effects of weatherization on low-income families in Buenos Aires. In the end, the goal is to shed light on the benefits of weatherization and its potential international significance regarding impoverished areas on a global scale. 1. Gain a deeper understanding of the significance of sustainable living where environmentally stable housing and financial security is under threat. 2. Research the process and practice of sustainable construction and weatherization. 3. Critically analyze the contrasting architectural styles as well as the use of materials among affluent and impoverished communities. 4. Create meaningful relationships between the group and organizations in Argentina dedicated to building sustainable homes and weatherizing homes. 5. Facilitate discussions that encourage social change through community activism. Team building; experience hands on learning; production of a short- documentary film. Develop students’ habits of independent inquiry and study: Prior to leaving for Argentina, all students will form research teams and present their findings to the rest of the class. The documentary aspect of the project in Argentina will provide another avenue for independent growth, as students will be able to develop their own questions. These questions will be asked in interviews to provide professional intel on sustainable living and the weatherization process. Above all, the film will organize visual material to complement the pedagogical objectives of the Learning Cluster. Engender analytical and investigative skills in order to apply them to a specific problem or question: During the first days in Argentina, students will develop questions and expectations based both on their own research as well as research presented by their classmates. Once questions have been developed, research and firsthand experience will be combined in order to bridge the gap between theory and practice. Enhance the ability to work collaboratively: Students will be working together to organize the trip, develop the documentary interviews, divide the subject matter, and create a cohesive final project. They will also have to develop a steadfast work ethic to include all team members, both domestic and international, who will be collaborating and contributing to the success of the project. The experience in its entirety will require students to depend on each other’s skills, including Spanish speaking abilities, different cultural understandings, and creative writing talents. Foster a contributive ethic by working on issues that have a larger social significance or meaning: The creation of sustainable housing immediately benefits the community and environment. In addition, it provides people who cannot afford the standard industrialized corporate approach to building with a beneficial alternative. Furthermore, we will spread this knowledge of the feasibility of this type of sustainable living and weatherization through our documentary. Prepare students for their roles as engaged global citizens: Through personal encounters, new experiences, hands on creation, community collaboration, and inquiry into government regulations, critical evaluation of materials and resources, and an overall objective of contributing to the sustainability of humanity, this experience in Argentina will help deepen the understanding of what it means to be a global citizen. *We will be filming throughout our Learning Cluster. The objective is to create a short film documentary (15-20 min) about our group and individual studies on Urban Development, Architecture, Sustainable Housing and Weatherization in Buenos Aires, Argentina. Students will require all participants to sign a Personal Appearance Release Form (draft of the release form is included in this proposal). *Students will submit photo essays, personal essays, and possibly more material about their experiences with building, their time spent in the city, and the economic, social, and environmental issues they study. The founders of FOVISEE are a group of professionals sharing a strong commitment towards the improvement of our society. For over 10 years we have worked on the design and implementation of programs on access to energy in low income communities. The context which inspired us is one of a developing country, where large numbers of the population live under the line of poverty, where the social policies agenda targeted at these people does not include sustainability or energy efficiency topics. The Argentine state builds annually around 36,000 new social housing units, where construction is based on living space needs and reduced budget not including energy efficiency criteria, so it yearly adds thousands of homes that will waste energy for decades and lessen families' comfort. To make up for the lack of experience, we built and measured new energy efficient affordable housing model units, and designed, applied and measured rehabilitation models. Determined to influence public policies, we base our work on feasibility; and believe that the most definitive way of assessing it is actually carrying out applied field projects. During our experience we attempted to carry out several ideas with unsuccessful results, where the lessons were all the more valuable than with successful cases: it has helped us rule out ideas that were impracticable, too costly, complicated, or fragile; and also helped us work on ideas that were originally flawed, but could be improved. CIHE (Center of Research on Habitat and Energy), Architecture Faculty, University of Buenos Aires: Professional advising. DRS-UTN (Social Responsibility Department, National Technological University): Human resources and logistics support. INTI (National Institute of Industrial Technology): Institutional support and professional advising. Edenor (largest electrical distributor of Argentina): Financial, logistical and human resources support. As mentioned in the itinerary, this Learning Cluster will meet with representatives of this non-profit organization to discuss the implications of sustainable housing for impoverished communities. Students will conduct a short interview to gain clarity on urban development policies in inner-city neighborhoods where most Techo volunteers work to improve the quality of life for members of each area. This organization maintains an exceptional standard that coincides with the objectives of the course. TECHO pursues three strategic objectives: (1) The promotion of community development in slums, through a process of community strengthening that promotes representative & validated leadership, drives the organization and participation of thousands of families living in slums to generate solutions of their own problems. (2) Fostering social awareness and action, with special emphasis on generating critical and determined volunteers working next to the families living in slums while involving different actors of society. (3) Political advocacy that promotes necessary structural changes to ensure that poverty does not continue reproducing, and that it begins to decrease rapidly. Mission: Work Tirelessly to overcome extreme poverty in slums, through training and joint action of families and youth volunteers. Furthermore, to promote community development, denouncing the situation in which the most excluded communities live. And lastly, to advocate for social policies with other actors in society. The Asociación Guardianes del Ambiente (A.Gu.A) is a non-profit organization that has as a mission the development of the "sense of initiative" to create the tools to preserve environmental harmony through formal and informal education. A. Gu. A was founded by professors and students of the Instituto Pizzurno de Enseñanza Integral, Nivel ESB and Polimodal. It organizes international and national gatherings, lectures, workshops and and seminars to promote the sense of responsability towards the environment. A. Gu. A has became an space of training, exchange, and reflection between Educational Institutions and their students to foster the action of youth in the political decisions of sustainability in Argentina. Through this organization, we would be able to meet with students to establish dialogue about our projects and exchange ideas. Bird, Stephen, and Diana Hernandez. "Policy Options for the Split Incentive: Increasing Energy Efficiency for Low-income Renters." Elsevier 48.2012 (2012): 506-14. ScienceDirect. Web. 7 Oct. 2015. <http://www.sciencedirect.com/science/article/pii/S0301421512004661>. Brown, Marilyn A., Linda G. Berry, Laurence F. Kinney, Thomas C. Wilson, and Dennis L. White. "Ten Case Studies of Effective Weatherization." Prairie Schooner 10.3 (1936): 235-36. Oak Ridge National Laboratory, Nov. 1993. Web. 9 Oct. 2015. Carns, Ted. Off on Our Own: Living Off-Grid in Comfortable Independence: One Couple’s “Learn as We Go” Journey to Self-Reliance. N.p. : St. Lynn’s, 2011. Print. Dahlhausen, Matthew, Mohammad Heidarinejad, and Jelena Srebric. "Building Energy Retrofits under Capital Constraints and Greenhouse Gas Pricing Scenarios." Elsevier 107.2015 (2015): 407-16. ScienceDirect. Web. 7 Oct. 2015. <http://www.sciencedirect.com/science/article/pii/S0378778815302309>. "Developing Weatherization Programs In Argentina." Developing Weatherization Programs In Argentina. Clean Energy Solutions Center, n.d. Web. 10 Oct. 2015. Fryer, Julie. The Complete Guide to Water Storage: How to Use Gray Water and Rainwater Systems, Rain Barrels, Tanks, and Other Water Storage Techniques for Household and Emergency Use (Back to Basics Conserving). N.p. : Atlantic, 2011. Print. Gintis, Herbert, and Bo Gustafsson. Markets and Democracy Participation, Accountability, Efficiency. Ed. Samuel Bowels. N.p. : Cambrige U, n.d. Print. Hong, Tianzhen, Mary Ann Piette, Yixing Chen, Sang Hoon Lee, Sarah C. Taylor-Lange, Rongpeng Zhang, Kaiyu Sun, and Phillip Price. "Commercial Building Energy Saver: An Energy Retrofit Analysis Toolkit." Elsevier 159.2015 (2015): 298-309. ScienceDirect. Web. 8 Oct. 2015. <http://www.sciencedirect.com/science/article/pii/S0306261915010703>. Hunter, Kaki, and Donald Kiffmeyer. Earthbag Building: The Tools, Tricks and Techniques (Natural Building Series). N.p. : New Society, 2004. Print. Low, Setha M. Theorizing the City: The New Urban Anthropology Reader. N.p. : Rutgers UP, 1999. Print. Ludwig, Art. Water Storage: Tanks, Cisterns, Aquifers, and Ponds for Domestic Supply, Fire and Emergency Use--Includes How to Make Ferrocement Water Tanks. N.p. : Oasis Design, 2005. Print. Minke, Gernot. Building with Earth: Design and Technology of a Sustainable Architecture. 2nd ed. N.p. : Birkhäuser Architecture, 2009. Print. Morley, Rebecca, Angela Mickalide, and Karin A. Mack. Healthy & Safe Homes: Research, Practice, & Policy. Washington, DC: American Public Health Association, 2011. Print. "National Retrospective Evaluation of the Weatherization Assistance Program." Overview. N.p., n.d. Web. 10 Oct. 2015. Noris, Federico, William W. Delp, Kimberly Vermeer, Gary Adamkiewicz, Brett C. Singer, and William J. Fisk. "Protocol for Maximizing Energy Savings and Indoor Environmental Quality Improvements When Retrofitting Apartments." Elsevier 61.2013 (2013): 378-86. ScienceDirect. Web. 7 Oct. 2015. <http://www.sciencedirect.com/science/article/pii/S0378778813001394>. Phillips, E. Barabara. City Lights: Urban-Suburban Life in the Global Society. N.p. : Oxford UP, 2009. Print. Rock, David. Argentina, 1516-1987: From Spanish Colonization to Alfonsín. N.p. : University of California Press, 1987. Print. Roy, Rob. Earth-Sheltered Houses: How to Build an Affordable Home. N.p. : New Society, 2006. Print. Sanchez, Laura, and Alex Sanchez. Adobe Houses for Today: Flexible Plans for Your Adobe Home. N.p. : Sunstone, 2008. Print. Schroder, Lisa, and Vince Ogletree. Adobe Homes for All Climates: Simple, Affordable, and Earthquake-Resistant Natural Building Techniques. N.p. : Chelsea Green, 2010. Print. Scott, William, and Stephen Gough. Sustainable Development and Learning: Framing the Issues. London: RoutledgeFalmer, 2003. Print. Sernau, Scott R. Social Inequality in a Global Age. Third ed. N.p. : Sage, 2010. Print. Steubing, Jacob Wayne. "Measuring the Efficacy of Low-Income Residential Sustainability Interventions." (2011): n. pag. Web. 9 Oct. 2015. Walton, Kim C. "Renewable Energy for Low Income Clients: Benefits Beyond the Money." Elsevier 57.826-833 (2014): 826-33. ScienceDirect. Web. 10 Oct. 2015. <http://www.sciencedirect.com/science/article/pii/S1876610214016580>. "Weatherization Guide for Older & Historic Buildings - National Trust for Historic Preservation." Preservationnation.org. National Trust for Historic Preservation, n.d. Web. 10 Oct. 2015. "What Is Weatherization." 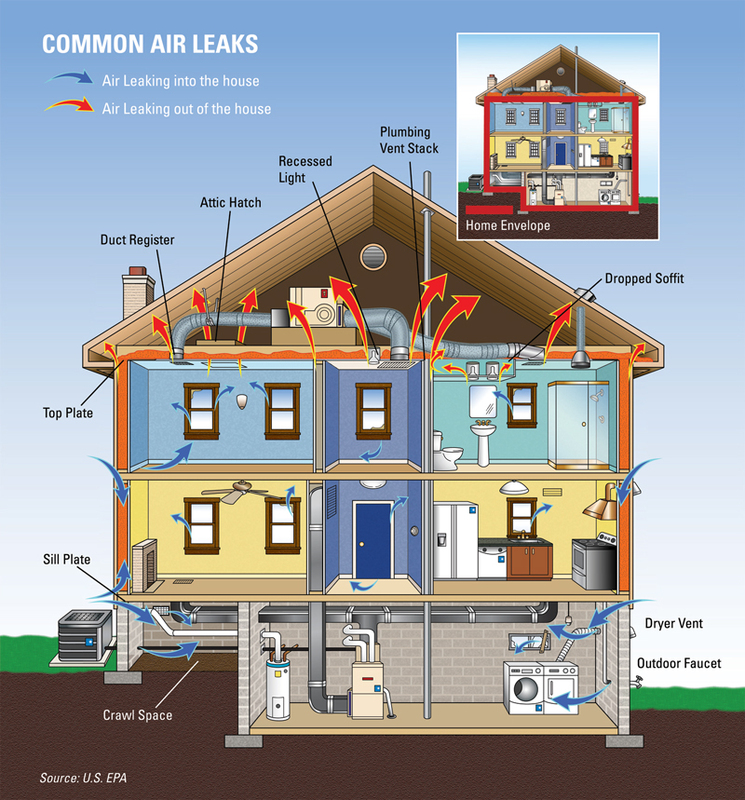 What Is Weatherization. Office of Energy Efficiency & Renewable Energy, 2 Feb. 2002. Web. 10 Oct. 2015. White-Newsome, Jalonne L., Brisa N. Sanchez, Olivier Jolliet, Zhenzhen Zhang, Edith A. Parker, J. Timothy Dvonch, and Marie S. O'Neill. "Climate Change and Health: Indoor Heat Exposure in Vulnerable Populations." Elsevier 112.2012 (2011): 20-27. ScienceDirect. Web. 10 Oct. 2015. <http://www.sciencedirect.com/science/article/pii/S0013935111002842>. Wilson, Jason. Buenos Aires: A Cultural History. N.p. : Interlink, 1999. Print.